Don’t forget your pyjamas tomorrow! Thursday 15th – Wear Your PJ’S To Nursery Day – £1 donations. 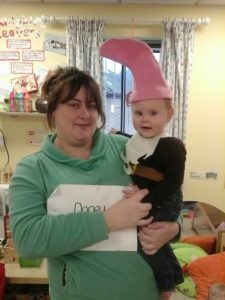 Fridays 16th – 5 Minute Sponsored Wiggle – all donations welcome! In order to raise money for this wonderful charity and have some fun with the children we will be holding 2 events this week! 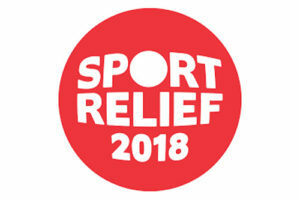 There is also a Sport Relief ‘Go-Go Moves Sweep Stake’ game available at reception this week for parents to play! Don’t forget! Children in Need tomorrow! 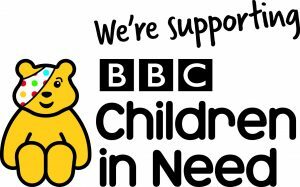 Just a reminder that we will be raising funds for BBC Children In Need tomorrow at nursery! 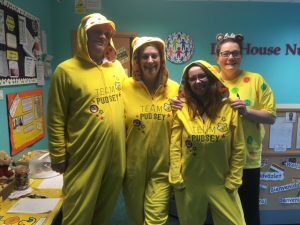 We are having a dress up day in all rooms and also a few fundraising activities for parents and families to join in at drop off and pick up – check out the games including guess the sweeties in the jar, the name of our special bear and also for some yummy cakes. So please bring along some change to donate to a great cause! Ladybirds staff and children are dressing up as Snow white and the 7 dwarves and raising money with ‘Guess how many sweets are in the jar’. Butterflies staff and children are dressing up as Superheroes and raising money by ‘Guess the name of the bear’ . 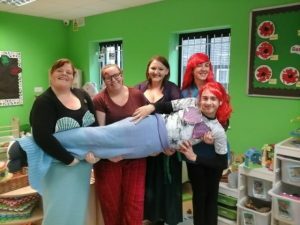 Bumblebees staff and children are dressing up as characters from The Little Mermaid and raising money by having a cake sale and pick a duck competition at £2 per go. 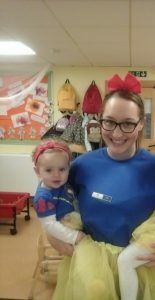 Dragonflies staff and children are dressing up as characters form the Lion king and raising money by asking parents to sponsor the children to do a Thriller’ dance that they have practised. We are really excited about our Children in Need fundraising day on Thursday 16th!! Don’t forget your fancy dress and some spare change – all for such a good cause! Ladybirds staff and children are dressing up as Snow white and the 7 dwarves and raising money with ‘Guess how many sweets are in the jar’ at 50p a go. Butterflies staff and children are dressing up as Superheroes and raising money by ‘Guess the name of the bear’ for 50p a go. …and her adorable puppies were in charge of the Bumblebee room today! All in aid of Children in Need of course… wonderful effort girls! …for BBC Children in Need! Today, 17th November, come in wearing as many dots and spots as you can!! 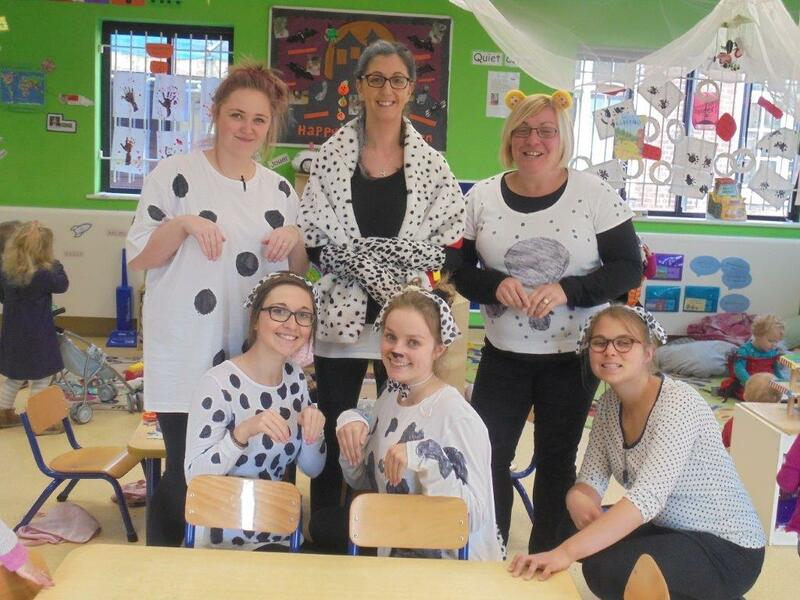 The staff are dressing up, with a special appearance from Cruella Deville in Bumblebees!! We will do our best to post a pic or two of our dotty team! There is a Children in Need donation box on the reception desk so please feel free to make a contribution to this very worthy cause. Friday is Jeans for Genes Day…. Don’t forget that tomorrow (23rd September) is Jeans for Genes Day! 1 in 25 children is born with a Genetic Disorder, an estimated 500, 000 children in the UK. The money raised from Jeans for Genes Day goes toward a range of iniaitives that help improve the quality of life for these remarkable children. So…come in tomorrow wearing your jeans and donate £1 or…dare to wear double denim and be fined £2!! A super result for Princess and Heroes Day! From the moment we opened at 7.30 yesterday morning we had a steady stream of magnificent heroes and beautiful princesses trot through the door! Our little Batman, Ironman, Robin Hood and stunning princesses (to name just a few) were joined by (among some fantastic others) Clark Kent (aka Paul), Supergirl (aka Charlotte), Spiderman (aka Alice) and Princess Jasmine (aka Molly)!!! 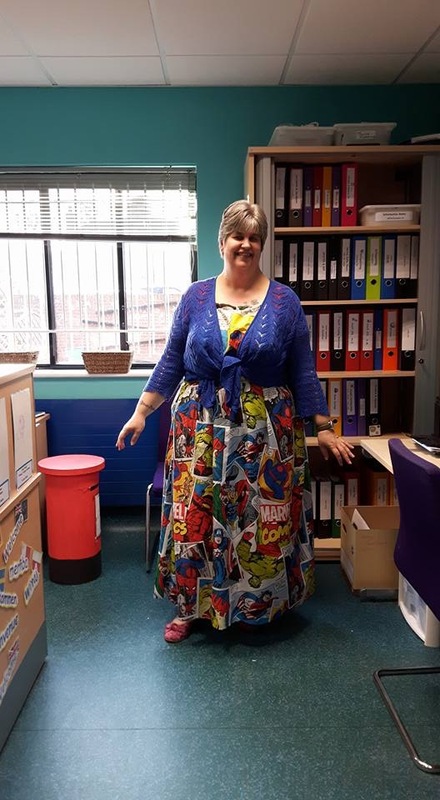 However, the prize for combining both hero and princess goes to Tracy whose handmade Superhero Princess dress was a total triumph – excellent effort Tracy!! We hope you get some further wear out of it! To all those who dressed up and all those who donated, we thank you so much and are delighted to announce that we raised a fantastic £118.61 for Crackerjacks Children Trust!!! Well done and what a wonderful achievement!